Rep. Meyer, MSW addresses Session 2 at Social Work Advocacy Day. What a week! We had over 500 social workers attend Social Work Advocacy Day on Wednesday, March 25th. This was an incredible opportunity for social workers and social work students to meet with legislators and discuss priority issues. We hope you all enjoyed the event and will use the opportunity to continue relationships with your legislators as they develop important policy that impacts our profession. Last week also marked the Senate filing deadline- any bills the Senate plans to work on this legislative session had to be filed. Close to 200 new bills popped up including ones addressing Medicaid Reform and children in foster care. The House has until April 15th to get bills filed. HB 325 Reenact Child Care Credit: This bill would reenact the credit for child care and certain employment related expenses. HB 326 Lottery Game To Benefit Veterans: This bill would create a lottery game with funds designated to help homeless Veterans. HB 330/SB 365 Expand Medicaid To All Below 133% FPL/Funds: This bill would expand Medicaid based on the standards set forth by the Affordable Care Act- to those living below 133% of the Federal Poverty Level. HB 350/SB 349 Restore Driving Privileges/Competency: This bill would direct the Division of Motor Vehicles to restore the driver’s license of anyone adjudicated to be restored to competency. HB 355 Enhance Protection for Group Home Residents: This bill would increase punishments for client related abuse and require that those who witness abuse report it or face a penalty. HB 372 2015 Medicaid Modernization: This is a place holder bill to further develop a Medicaid reform plan. SB 377 Appropriate Funds For Drug Overdose Meds: This bill allocates $50,000 for medication that nonprofits and law enforcement can receive to help with opioid related drug overdoses. SB 361 Occupational Licensing Reform Study: This bill would require the Legislative Research Commission to study the operation and oversight of occupational licensing boards. SB 366 Amend Certain Reqs/Permanency Innovation Comm: This would change the meeting and reporting times of the Permanency Innovation Committee so the committee can continue to meet twice a year. SB 367 Achieving A Better Life Experience Act: This bill, often referred to as the ABLE Act, would create tax-advantaged savings accounts for persons with disabilities. The law would allow creation of “ABLE accounts,” which resemble qualified tuition programs, often called “529 accounts,” that have been established under that section of the tax code since 1996. The maximum annual contribution to an account would be set at $14,000 with a principal cap of $100,000. Earnings and distribution on ABLE accounts would be tax-exempt. SB 423 Foster Care Family Act: This bill does many things for children in foster care to help them have as normal of a life as possible and helps parents choosing to foster. It would create liability insurance for foster parents, remove barriers to children getting drivers licenses while in foster care and provide them with insurance, and it will direct a study for a Medicaid waiver for children in foster care with serious emotional disturbance to stay out of institutions. SB 424 Fostering Success: This bill extends foster care to age 19 and allows for the Social Services Commission to adopt rules to implement this change. SB 453 Regulatory Reform Act: This bill does multiple things but the most important is to expunge criminal records of first-time offenders convicted under age 18 of misdemeanors, gang-related offenses or nonviolent felonies and the records of first-time offenders under age 21 for drug offenses. SB 490 Increase Access to MH Services: This bill would direct the Legislative Research Commission to study public-private hospital partnerships. It also allows for the transfer of state-operated hospitals to transfer beds to private, rural hospitals without a certificate of need review. SB 496 Protect MH/DD/SA Clients: This bill increases penalties for repeated failures to report instances of abuse, exploitation, or accidental injuries for clients in facilities being treated for mental health, developmental disabilities, and substance use disorders. SB 532 Eugenics Amendments/County Victims: This bill amends the eugenics compensation bill and would qualify anyone involuntarily asexualized or sterilized under a county-level authority for the state’s eugenics compensation program, which currently recognizes only the acts of the old Eugenics Board of North Carolina. SB 568 NC Health Care Modernization: This bill is a take at reforming Medicaid. It would consolidate the LME/MCOs to have between 4 and 6, create a Joint Legislative Oversight Committee on Primary Care and Medical Benefits, and directs the Department of Health and Human Services to come up with a plan for provider-led, at-risk organizations to handle care. SB 574 2015 Medicaid Reform: This is a placeholder bill for a Medicaid Reform plan. SB 584 Poverty Task Force: This bill would develop a task force to study how to eliminate poverty in our state. SB 585 Create HBCU Advisory Board: This bill would create an advisory board for Historically Black Colleges and Universities to help increase enrollment, retention, and graduation. SB 612 Nondiscrimination In Public Employment: This bill would amend the State Human Resources Act to include sexual orientation and gender identity to the list of qualifications by the state’s equal employment opportunity law. SB 646 Unlawful To Assist Another To Commit Suicide: This bill would make it a felony to assist someone in committing suicide and makes it unlawful to manufacture, sell, distribute, or possess a euthanasia device that would assist an individual to commit suicide. SB 652 Prohibit Re-homing Of An Adopted Minor Child: This bill would prohibit the permanent transfer the physical custody of an adopted minor without a court order and would make statutory changes as needed to enforce this. SB 653 Seniors’ Fraud Protection Act: This would create protections for seniors around residential contractors and requires the Attorney General to operate a database that can be used to investigate potential financial exploitation. SB 669 Homeless Youth Obtaining Housing/LRC Study: This bill directs the Legislative Research Commission to study issues related to unaccompanied homeless youth contracting for housing or admission into a shelter. SB 676 Autism Health Insurance Coverage: This bill would provide coverage for autism service for health insurance. It includes Licensed Clinical Social Workers. 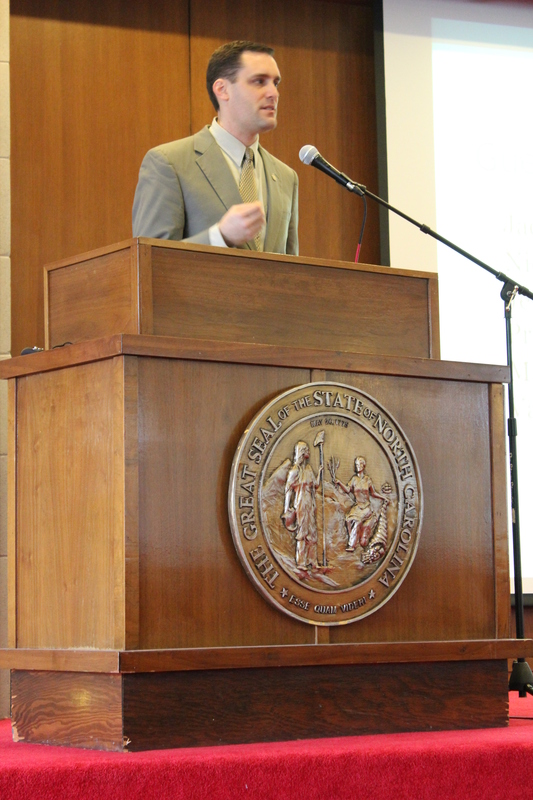 SB 696 Medicaid Modernization: This is another Medicaid Reform plan that seeks to modernize and stabilize Medicaid through a full risk capitated health plan within four years and creates an independent board to govern Medicaid and NC Health Choice. SB 703 Medicaid Transformation: Yet one more Medicaid reform bill filed last week. This bill would also create a capitated, risk based, managed care program as set up by the Department of Health and Human Services by January 2017. SB 705 Ensure Fair Sale of Dorothea Dix Property: This calls for ensuring “the fair sale” of the former psychiatric hospital campus by using the state’s standard procedure for surplus property. Bidding starts at $52 million. 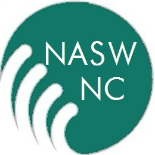 This entry was posted on March 30, 2015 by naswnc in Advocacy, Blog Posts by Topic and tagged ABLE Act, Advocacy Update, Foster Care, macro practice, macro social work, Medicaid Reform, NASW-NC, NC Social Work Advocacy, NCGA, NCPOL, veterans.